First off, thanks to Nivea for allowing me first dibs of their latest products. Something that I appreciate and never gets old on me. I love discovering products that raise the bar up a notch or two (or more, really). With research, development and science breakthroughs come after another, there’s no other way but for brands to level up their game and it’s always good for us consumers because a healthy competition will inevitably give us products that are superior – which for the most part, give us value for our money (with concerned issues addressed). It’s a win-win, really. The brands get their following and us consumers get our issues addressed. Enough on my take on my love for innovative products, whether that’s beauty, tech, supplements or whatever. A shout out to my Nivea family for sending me these Nivea Deo Whitening Range and #NiveaFairandFirm beauty products. What exactly is your right kind of deo? Check out the full range of Nivea Deo Whitening. There’s Nivea Whitening Care that whiten and smooths. Then there’s Extra Whitening for a more intensified whitening and smoothening and there’s Extra White and Firm Q10 for care that whitens, smoothens and firms up the pits. 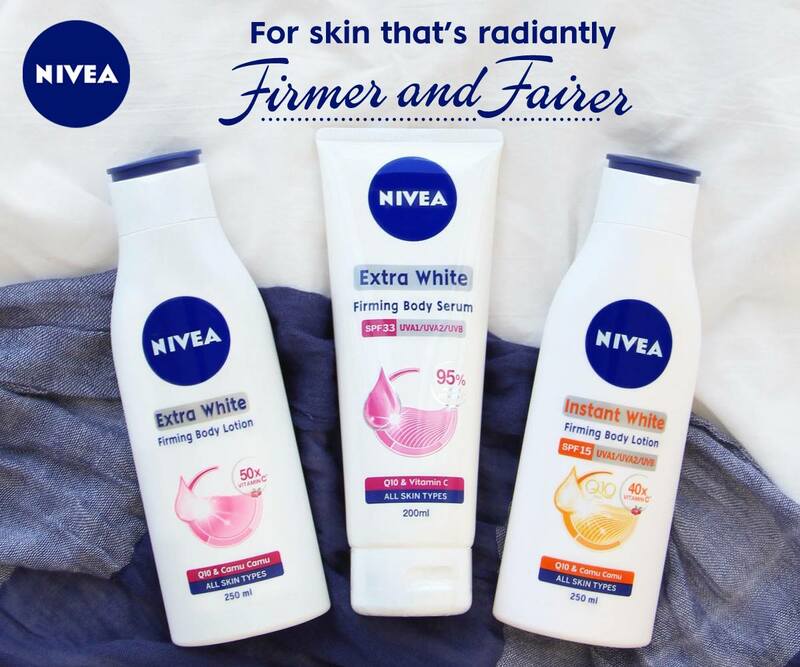 More than the deos, I’m thrilled over Nivea’s brand new products: Nivea Extra White Firming Body Serum with SPF33. 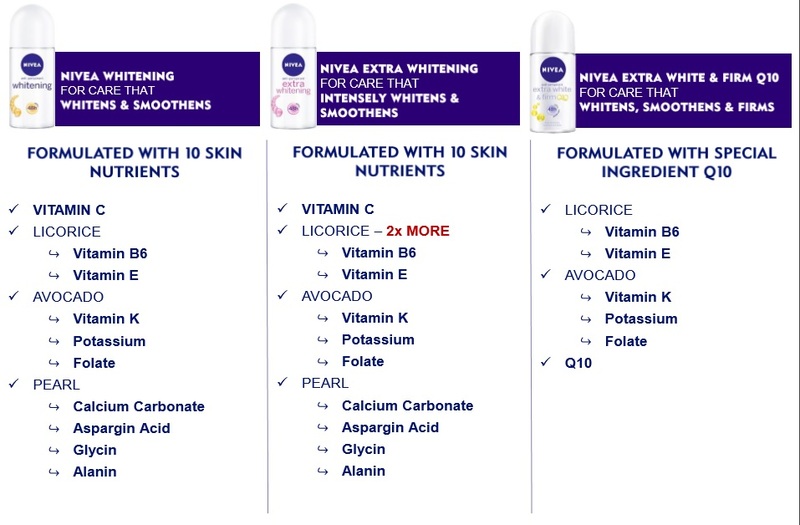 The first whitening body serum from Nivea is upgraded as it now whitens and firms skin at the same time. This product is formualted with unique Suepr Fruit Cam Camy extracts, Vitamin C with 95% purity. The formula texture is extra light and non-sticky, making skin penetration easier as it helps whiten and repair signs of dull, damaged skin. Nivea Extra White Firming Body Serum with SPF33 claims to make the skin become noticeably more radiant, whiter and smoother within 14 days of regular use as the Q10 ingredient is well known for anti-wrinkling, anti-oxidation as it boosts cell energy.